Generally speaking, most family members can make decisions together concerning their lives without any type of intervention from outside sources. But there are those times when a family law attorney should be consulted for advice or legal counsel. When a divorce occurs an attorney who is familiar with NJ family law can help couples or families sort through the facts and come to resolutions. Most of the time, NJ family law concentrates on divorce or issues pertaining to child custody but there can be other reasons that a NJ family law attorney is needed. 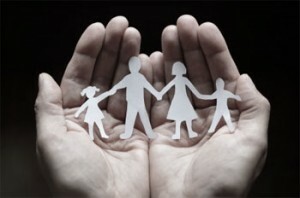 Here are some of the questions commonly asked about NJ family law. What are the most common types of family law cases in NJ? Divorce proceedings can become complicated very quickly as there are many facets that are not considered until separation is pursued. Property division is commonly addressed in a family law case. 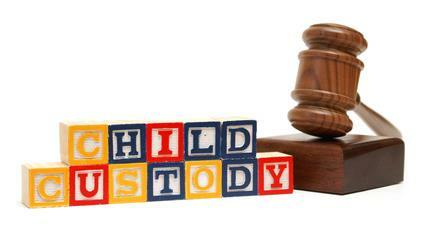 Child support issues must also be addressed but there are also other proceedings which must be addressed such as custody, visitation and grandparent’s rights. DYFS representation is also an important issue that a NJ family law attorney will be needed to address. Each of these types of situations can be independent issues, or they may be linked to other issues. A qualified family law attorney can help individuals sort through all the paperwork so that each step of the legal process is understood and accomplished. What are grounds for a divorce in New Jersey? There are several types of grounds for divorce in New Jerseysome of them are chosen frequently and others are available but not generally used. The common grounds for filing a divorce in New Jerseyinclude: desertion, adultery, extreme cruelty or separation. If separation is declared, then the two parties must live in two separate residences for at least 18 months before being eligible to use this as grounds for divorce. Less common grounds for divorce include: habitual drunkenness, deviant sexual behavior, addiction to narcotics and incarceration. When pursuing a divorce in NJ, contact a family law attorney who can more thoroughly discuss the grounds for a divorce. How long will it take to get a divorce granted in New Jersey? The time it takes to have a divorce granted will depend on many different circumstances such as property, child custody issues and how reasonably the parties involved can work through the various issues. When a divorce involves one or more businesses it can make the divorce proceedings go substantially longer. The state of New Jersey Best Practices indicate that it should not take more than one year from the time the Complaint for Divorce is filed and the issuance of a Final Judgment occurs. It may take as little as a few months or it can exceed the one year limit when there are complex issues to be settled. Can I get a name change along with a divorce? When the final uncontested hearing or trial is conducted, spouses have the opportunity to resume their premarital surname. The court will ask some specific questions such as if the reason for resuming a premarital name is with the intention of defrauding creditors or avoiding bankruptcy. If granted, the judge will include the desired surname on the Judgment of Divorce. When the official Gold Seal Final Divorce Decree is obtained, it will serve as any necessary authorization to make changes to any documents such as a social security card or a driver’s license. Be sure to inform the family law attorney at the beginning of the divorce proceedings if a premarital surname is to be resumed. This way it can be included in the necessary paperwork.